Wow! 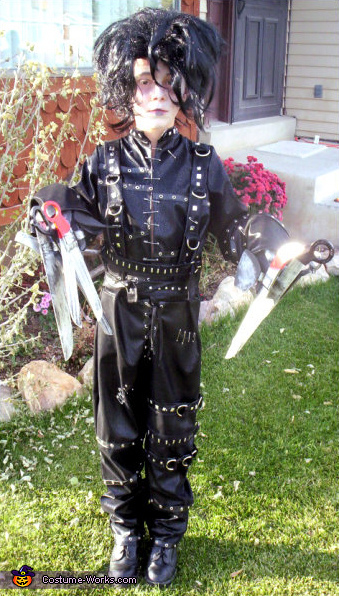 This is Tyler as Edward Scissorhands. It is obvious thatLOTS of work went into the detail of this Homemade Costume. The Hair and Make-up is done very accurately to match the Johnny Depp character. Many Thanks to Mom, Sheri for the creation of this Costume. Sheri and family live in Utah and they joined me the first year of this Costume Contest. This homemade costume for boys entered our 2008 Halloween Costume Contest, and won 5th place!